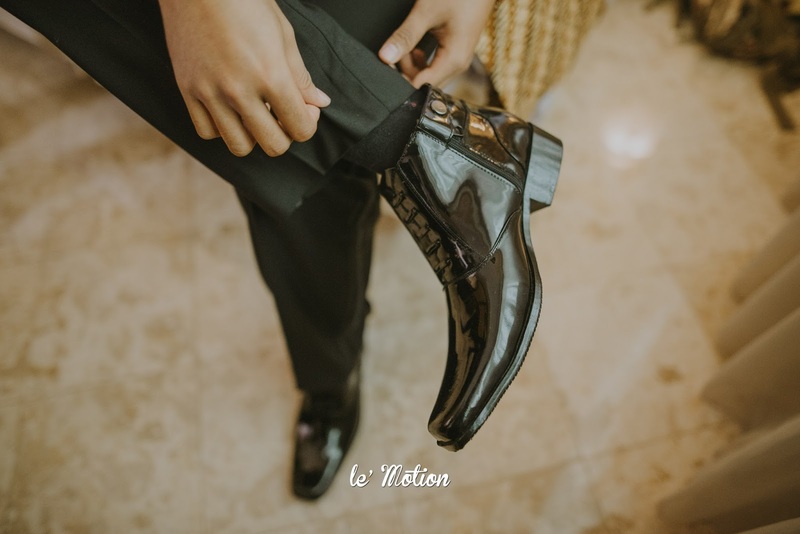 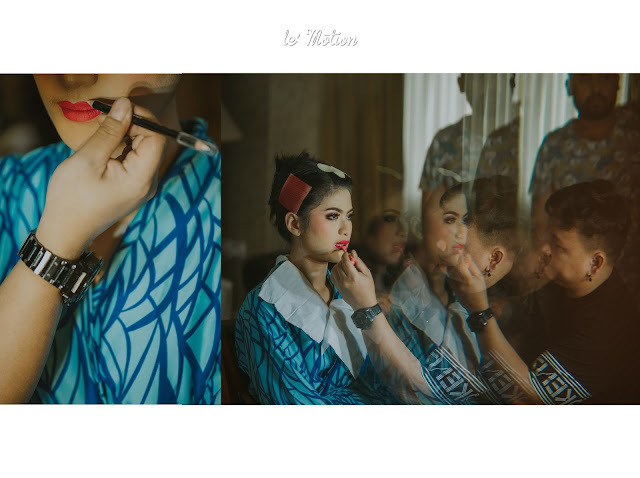 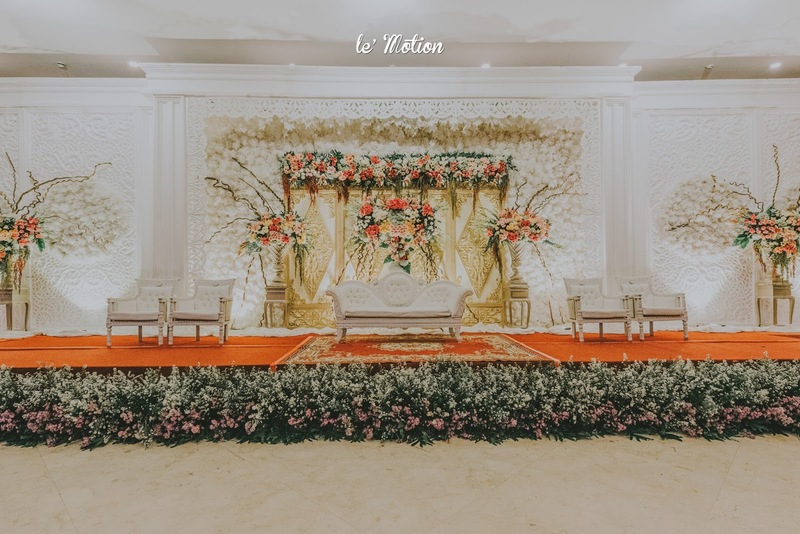 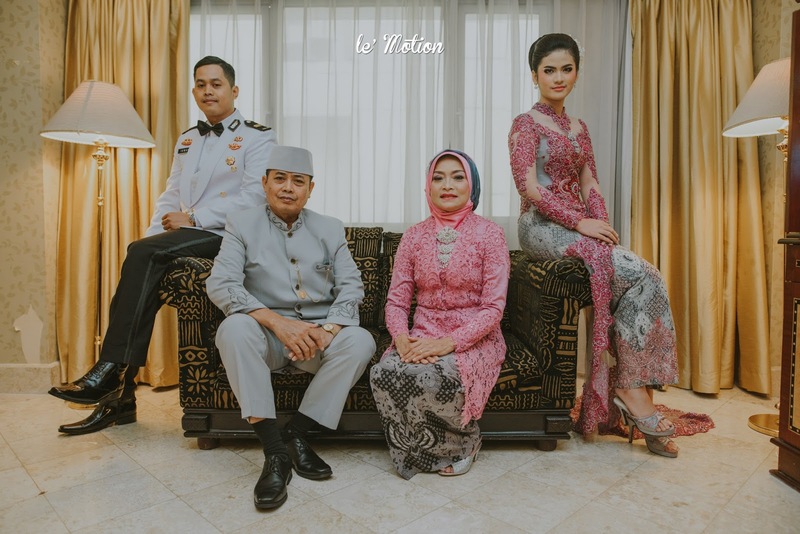 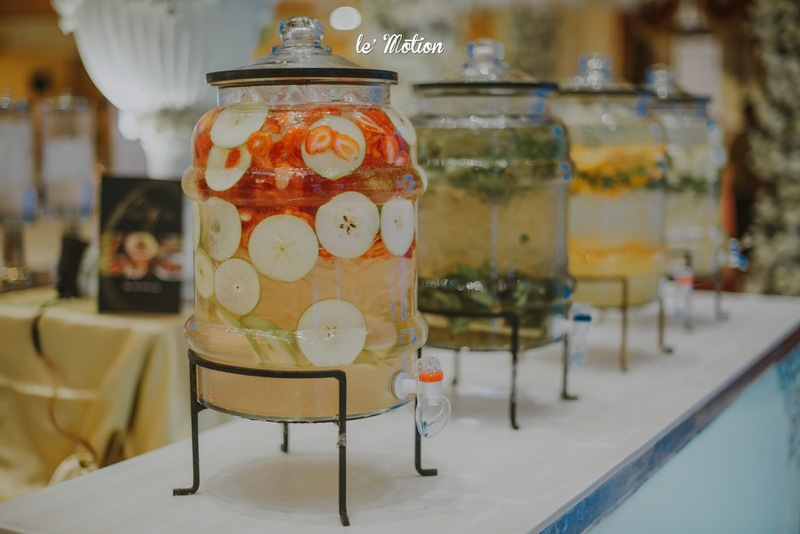 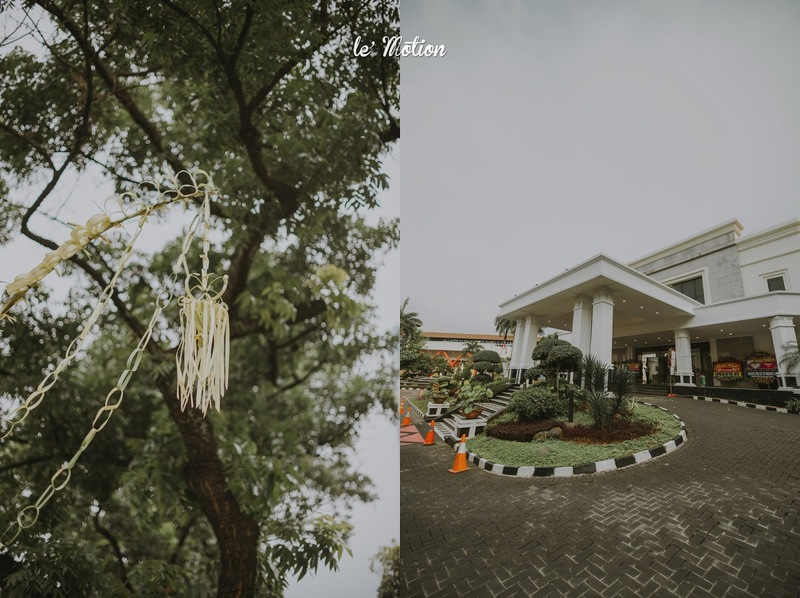 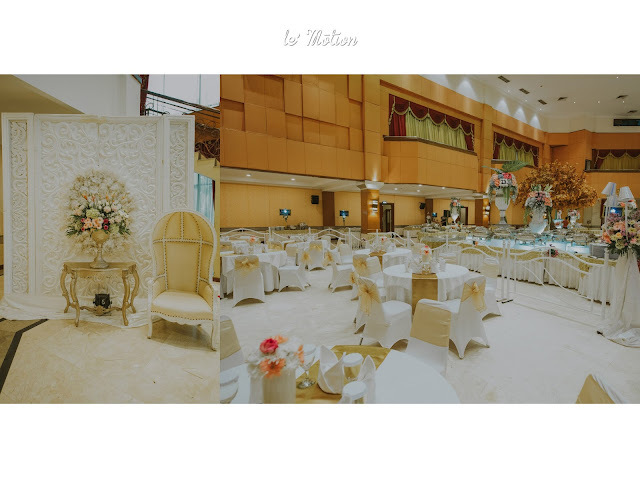 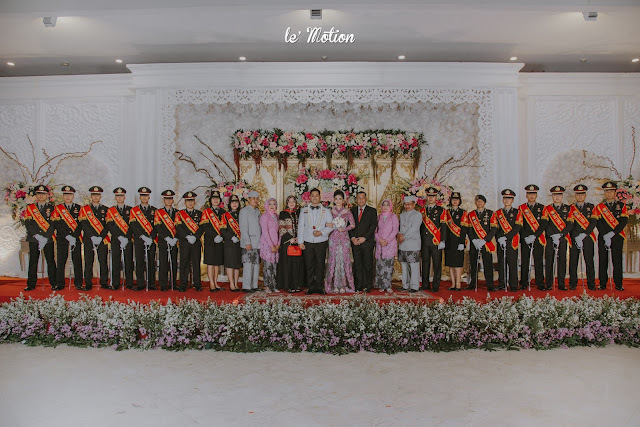 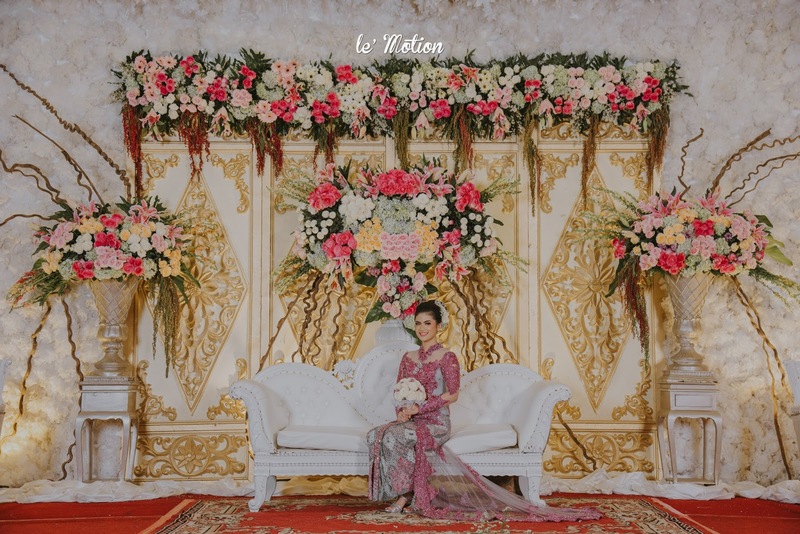 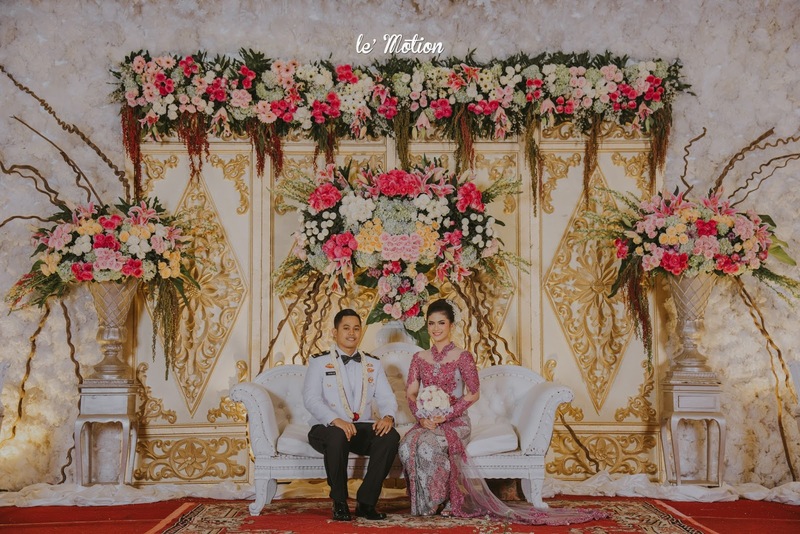 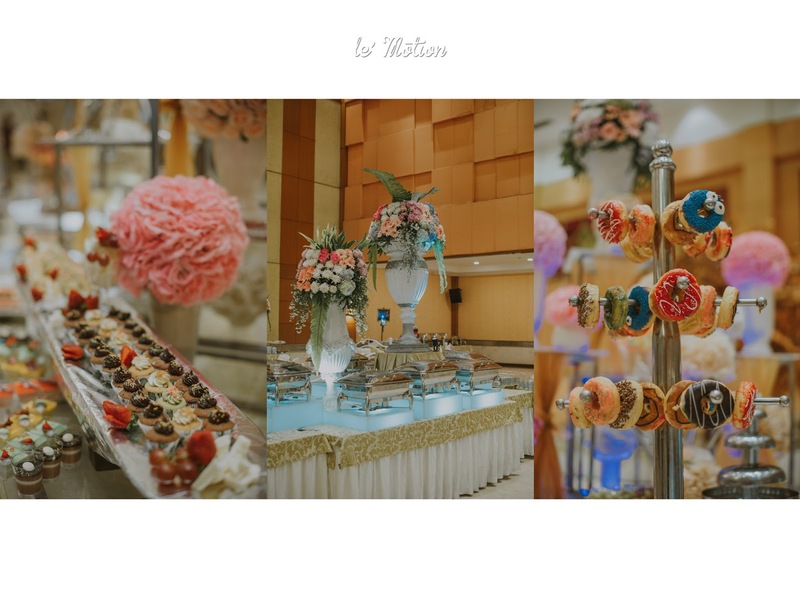 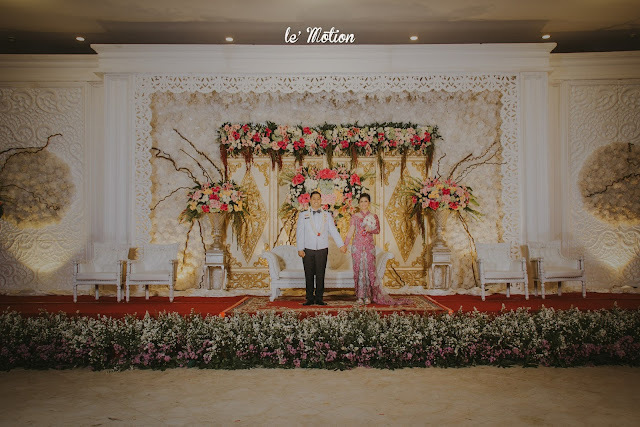 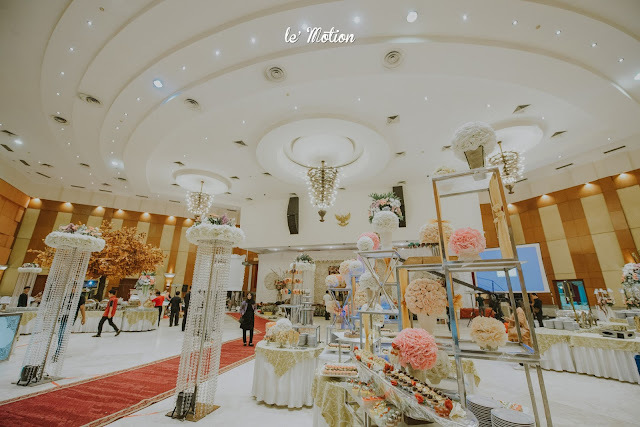 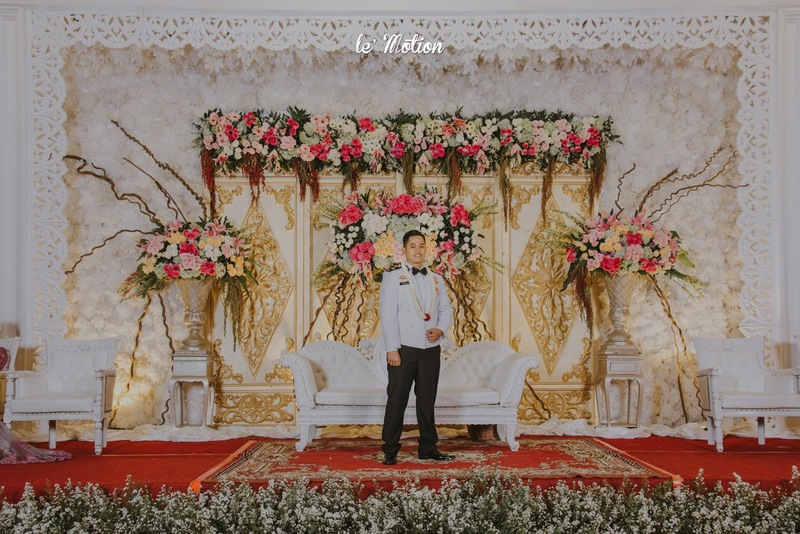 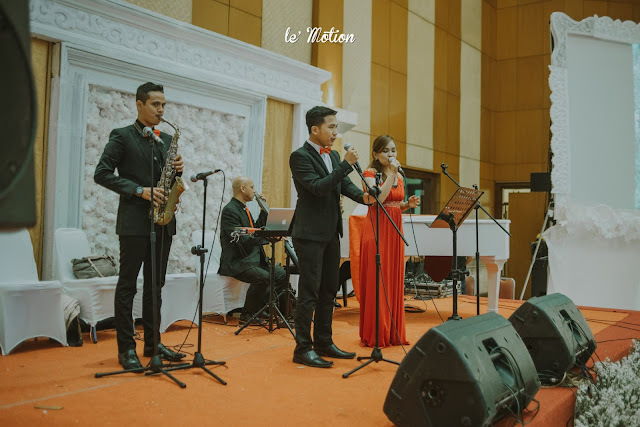 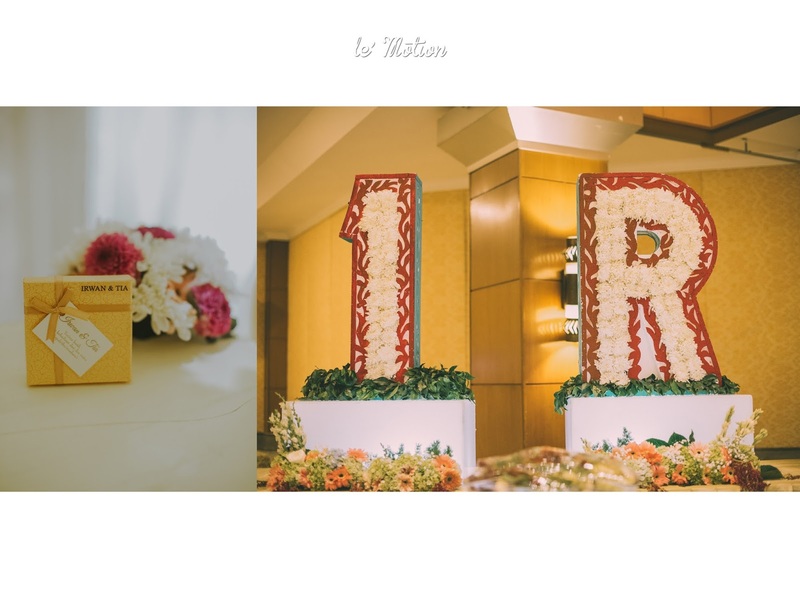 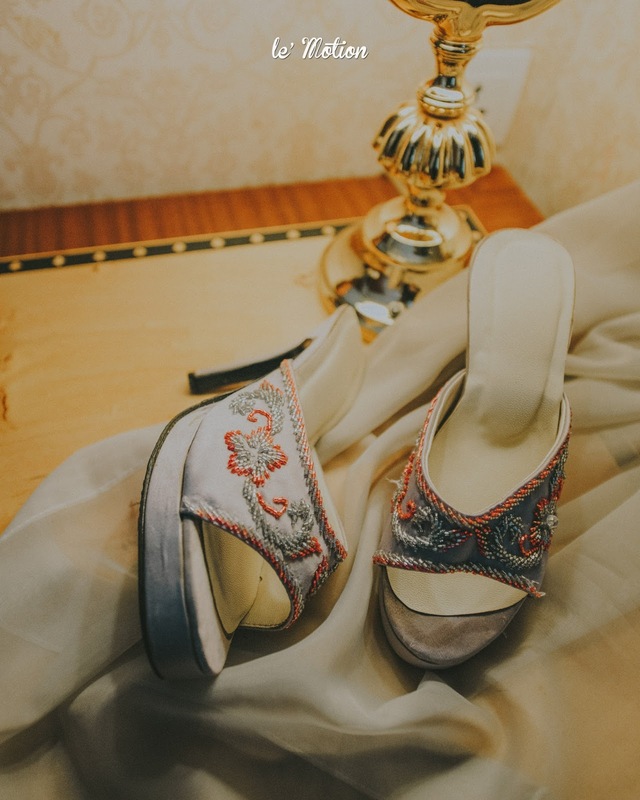 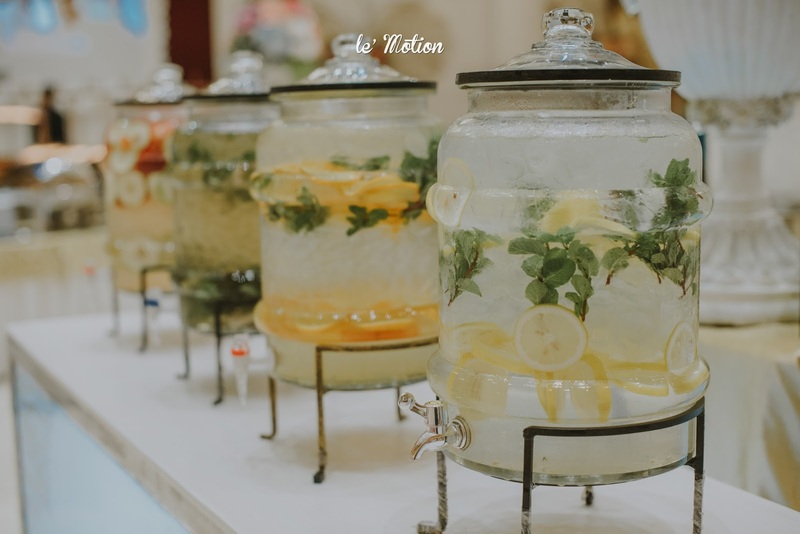 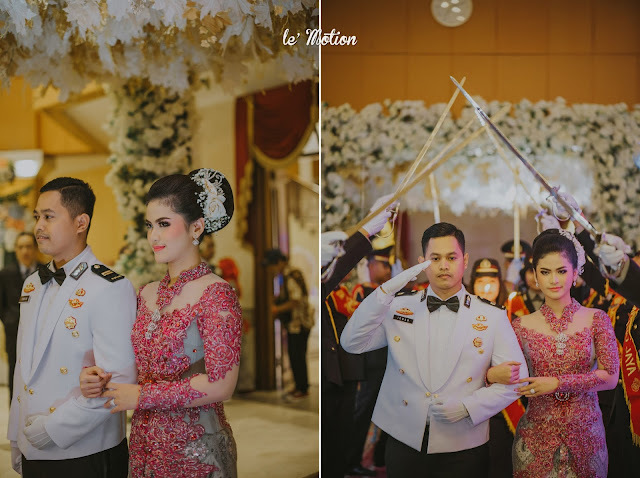 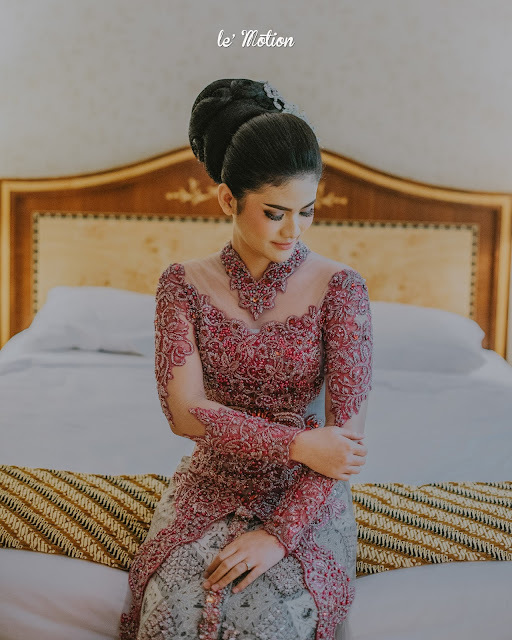 Sacred, royal, and fascinating are three words that describe Ratih & Irwan's wedding day. It was held in PTIK Auditorium and all guests were presented with the impressive Pedang Pora ceremony for the bride and groom as the opening. 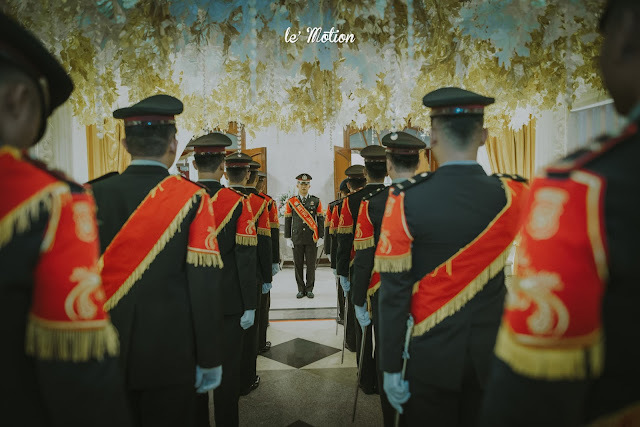 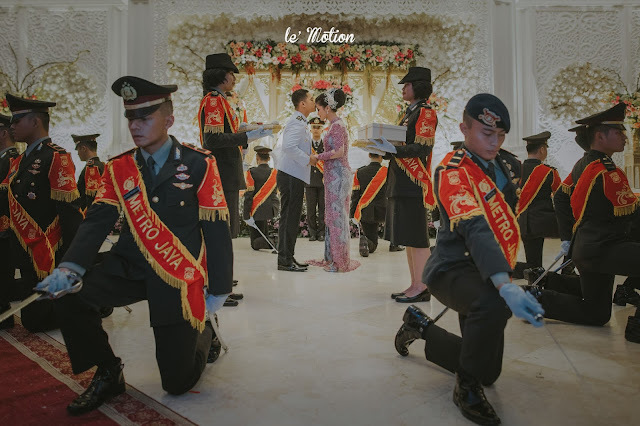 This Pedang Pora ceremony is basically a wedding tradition that has been done by generation after generation of the military service members in Indonesia. 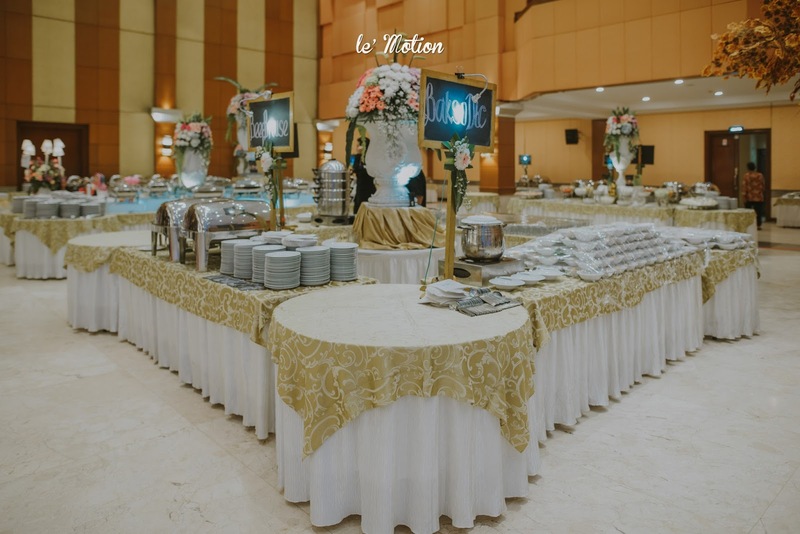 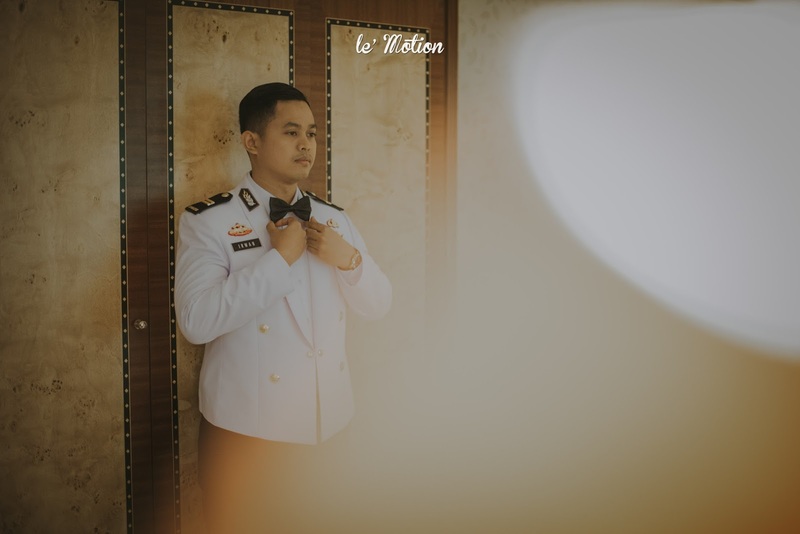 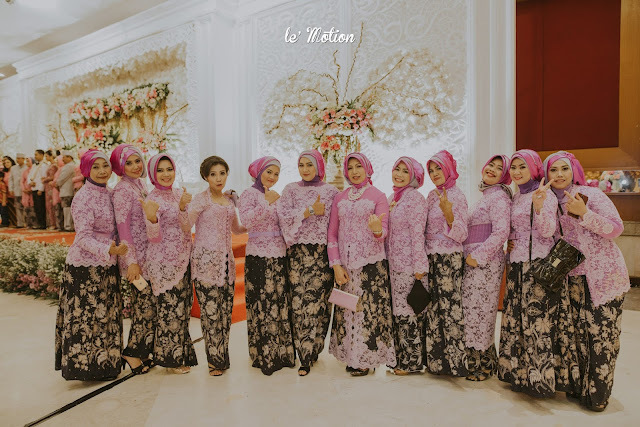 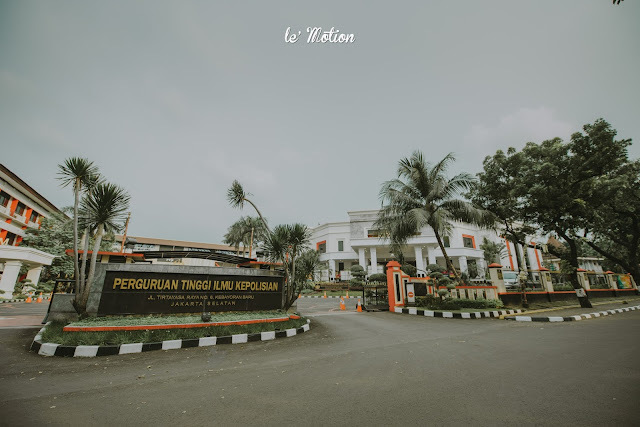 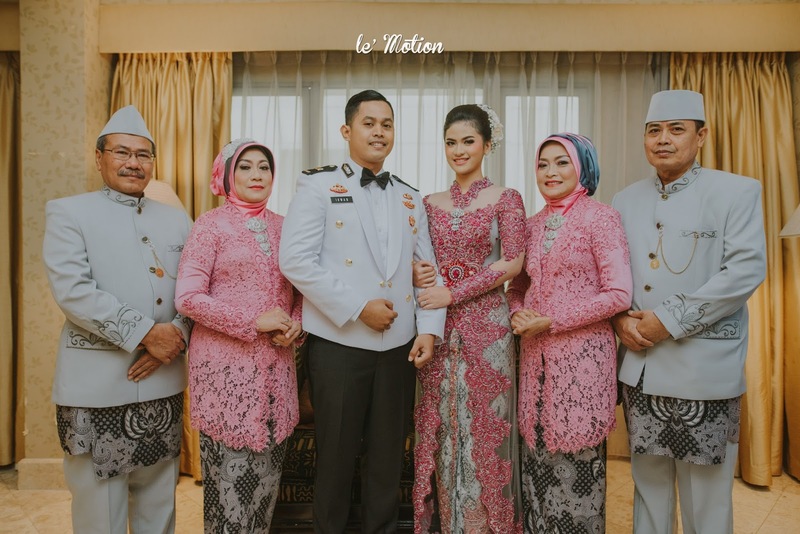 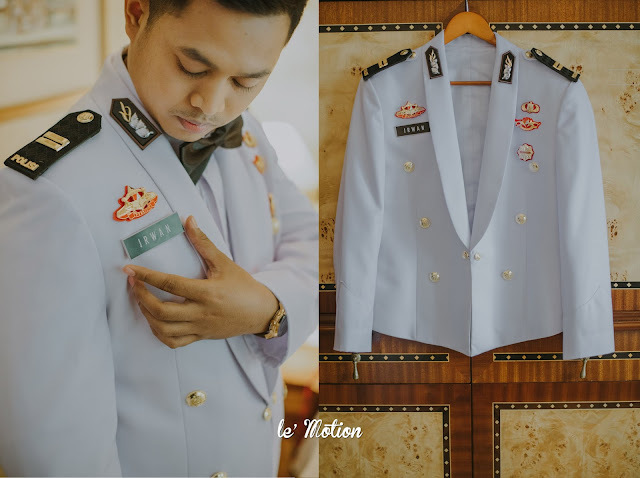 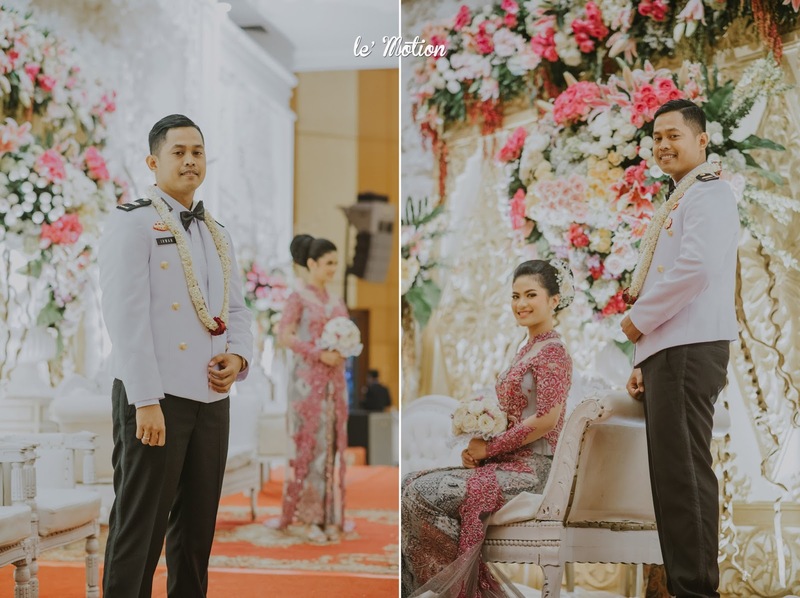 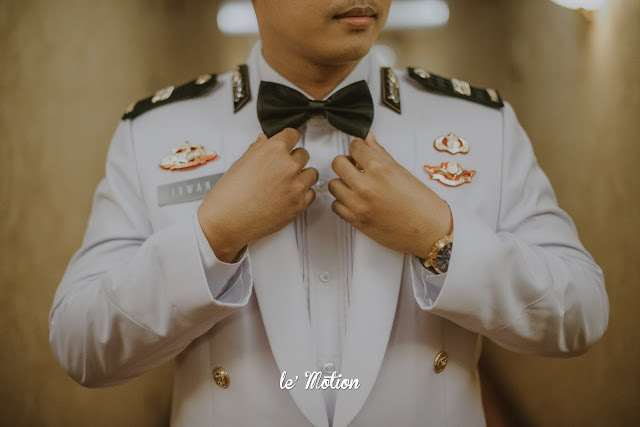 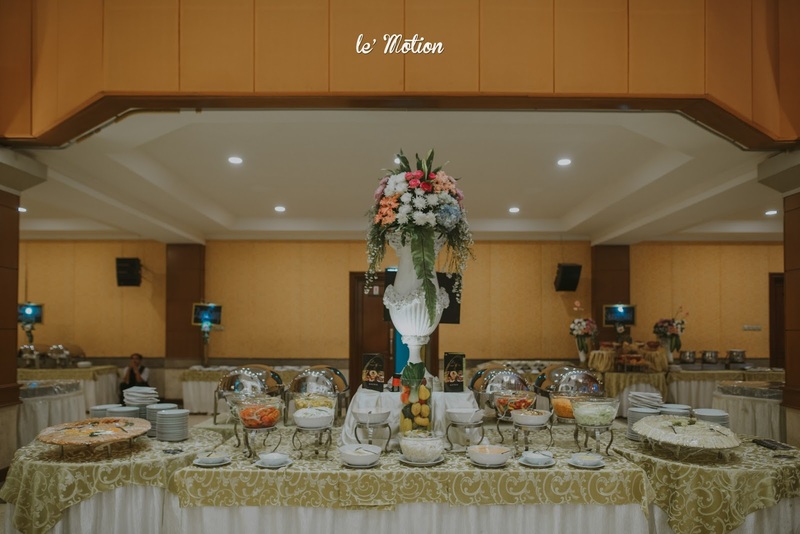 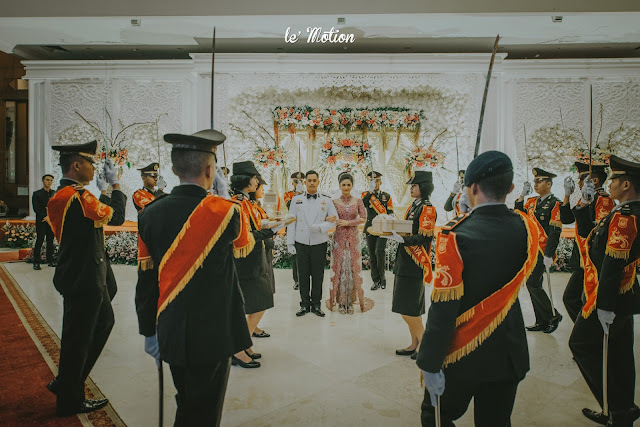 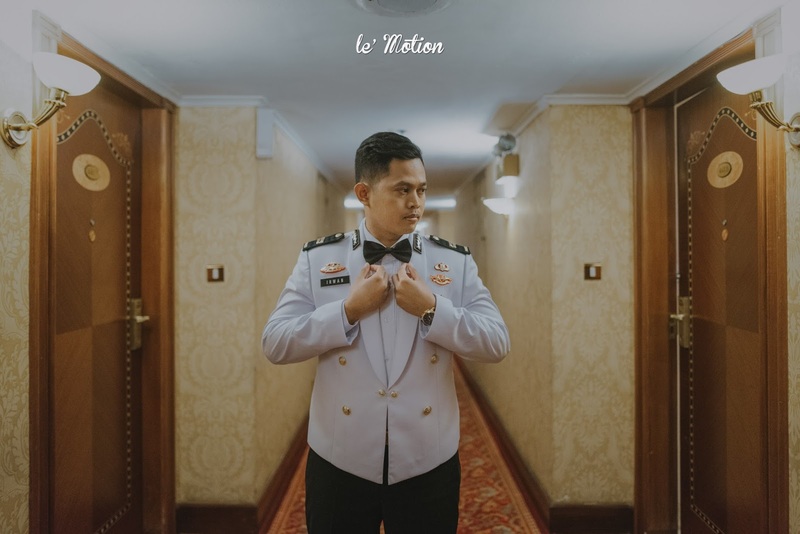 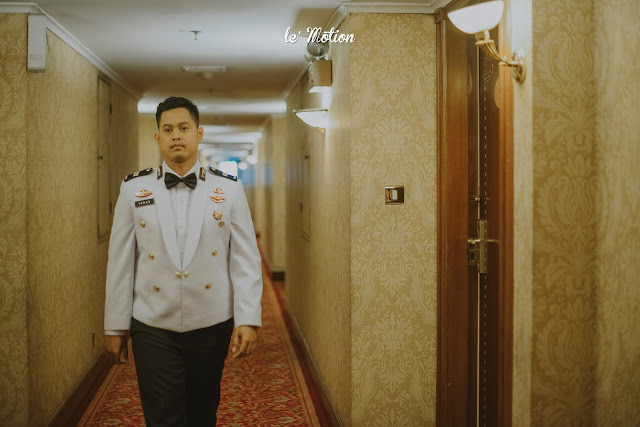 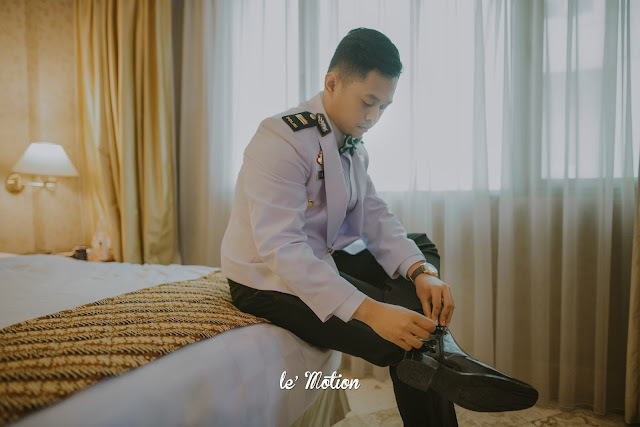 Essentially, the Pedang Pora ceremony aims to welcome the bride to the military family and introduce the military culture to her. 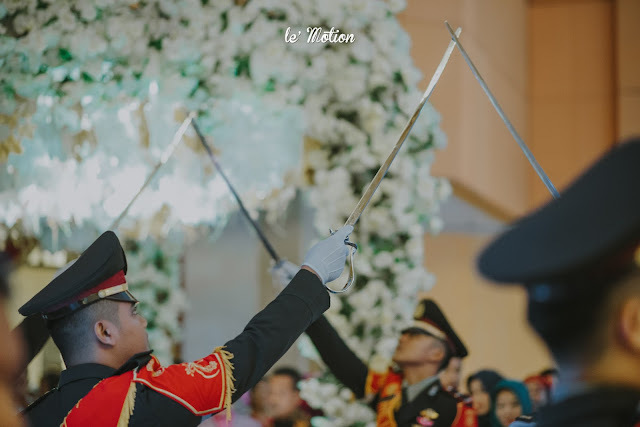 Equally important, the Pedang Pora ceremony also symbolises unity and brotherhood among the military service members. 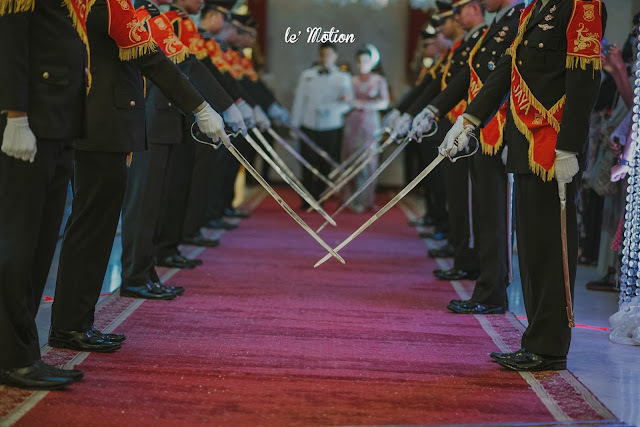 As the ceremony begins, two rows were formed, which consisted of 6 armed forces in each row lining up side by side and facing each other (12 armed forces in total). They raise their sword and make up a gateway for the bride and groom to enter. 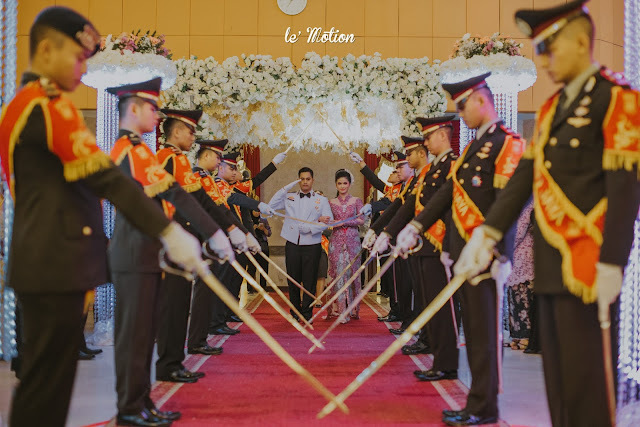 The ceremony went very solemn, gallant, and yet emotionally beautiful as it gave all guests happy chills. 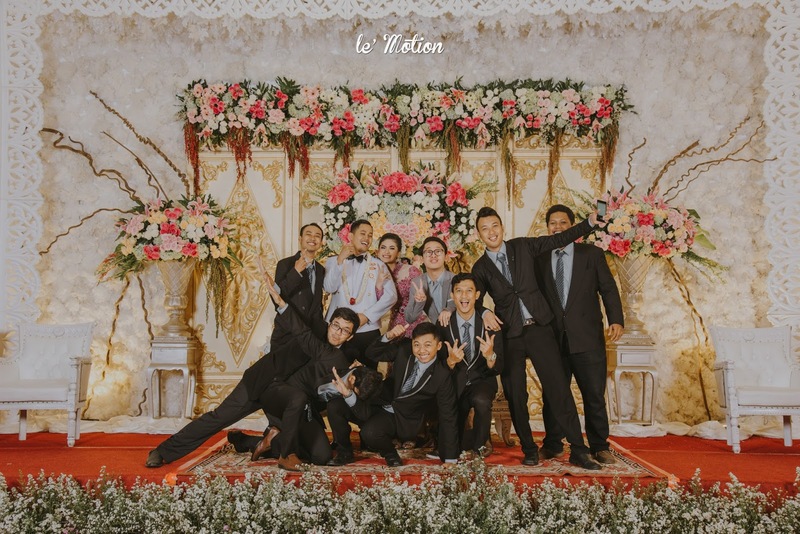 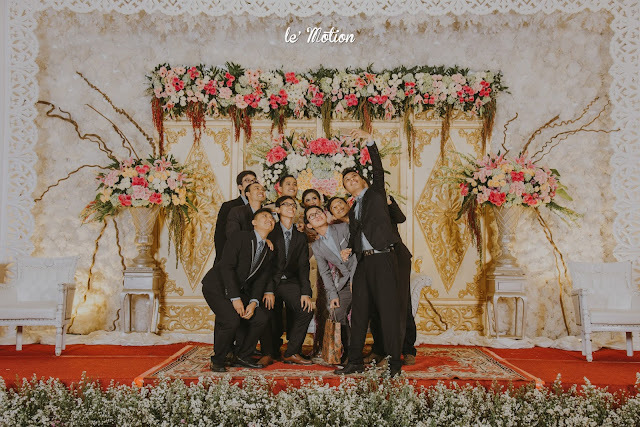 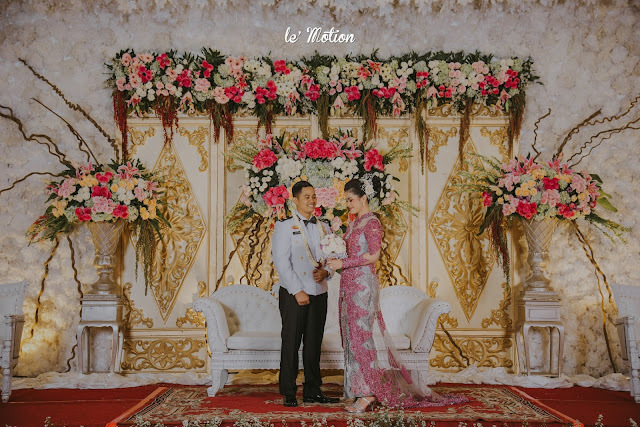 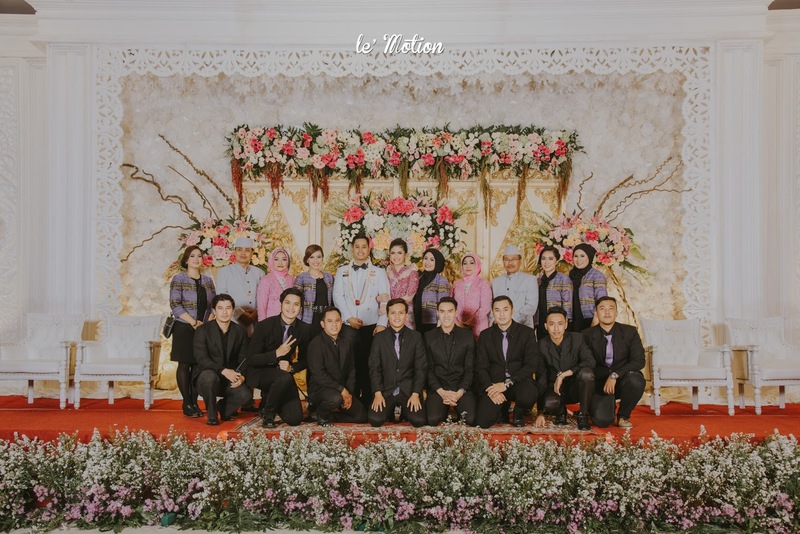 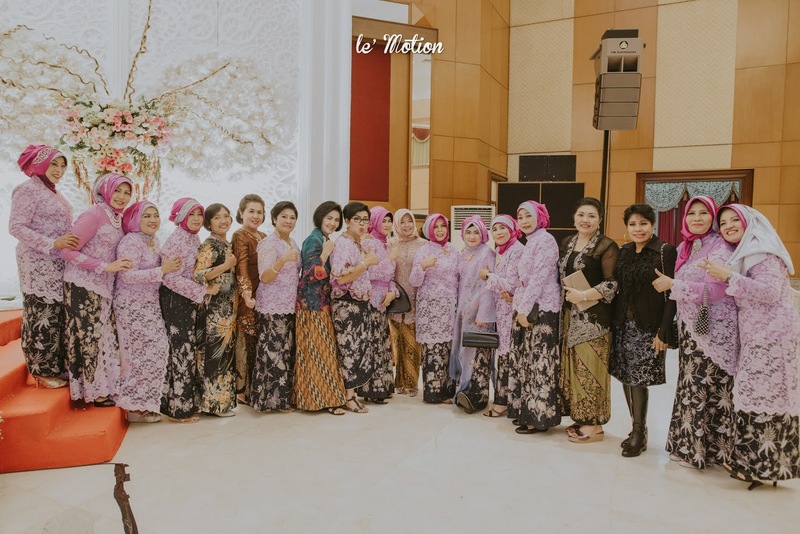 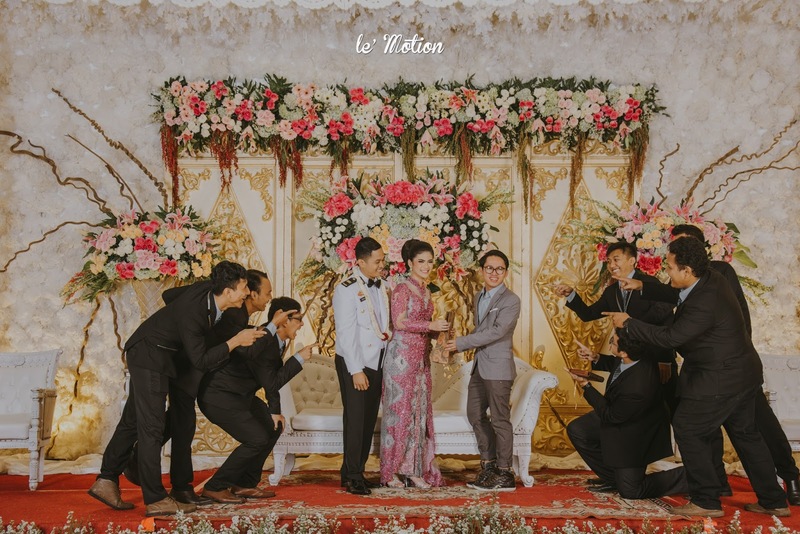 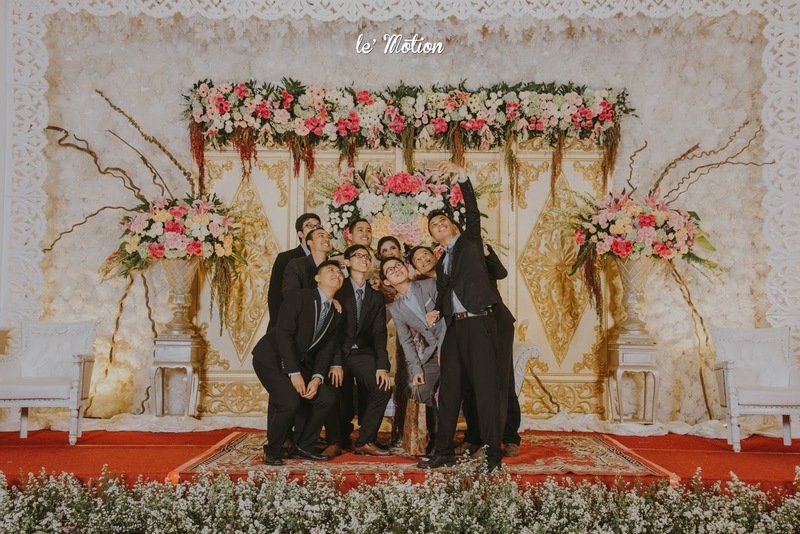 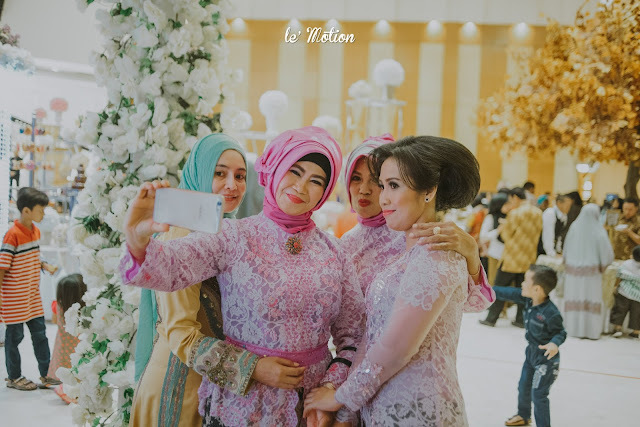 As the smile on Ratih & Irwan's faces widened and a true love being witnessed, everyone was showered with an absolute joy. 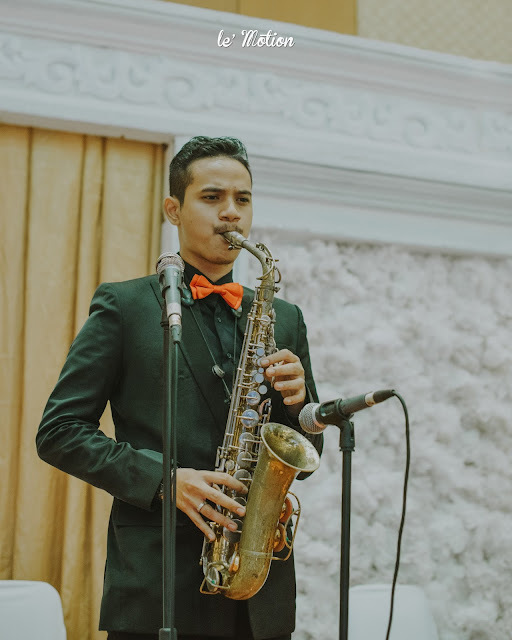 A hearty congratulations to Ratih & Irwan! 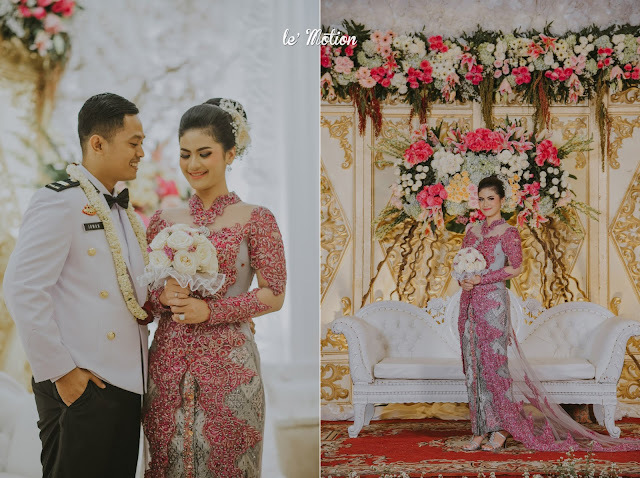 Wishing you two luck and happiness to last today, tomorrow, and ever after.